It is important to stay safe around overhead power lines, as well as around all other electrical distribution system equipment. In order to be safe, stay educated about the dangers related to overhead power lines. All power lines are dangerous and could deliver a serious or fatal shock to anyone who gets too close. The power lines mounted at the top of hydro poles are not insulated. This makes it much easier for someone in the vicinity of these wires to receive a shock resulting in injury or death. You do not need to be touching an electric wire to be electrocuted. Electricity can arc through the air to you, or a tool you are holding, and deliver a potentially fatal shock. These minimum safe distances apply not only to people, but also to tools, trees and toys. If you are working with tools, such as ladders or tree clippers, keep them a safe distance from overhead power lines. Similarly, ensure that children do not play with aerial toys, such as kites, near overhead power lines. To ensure your safety, familiarize yourself with the location and voltage of the power lines around your home. Almost any type of material has the potential to conduct electricity in varying degrees. Always assume that an object in contact with or very near an overhead power line is electrically charged. 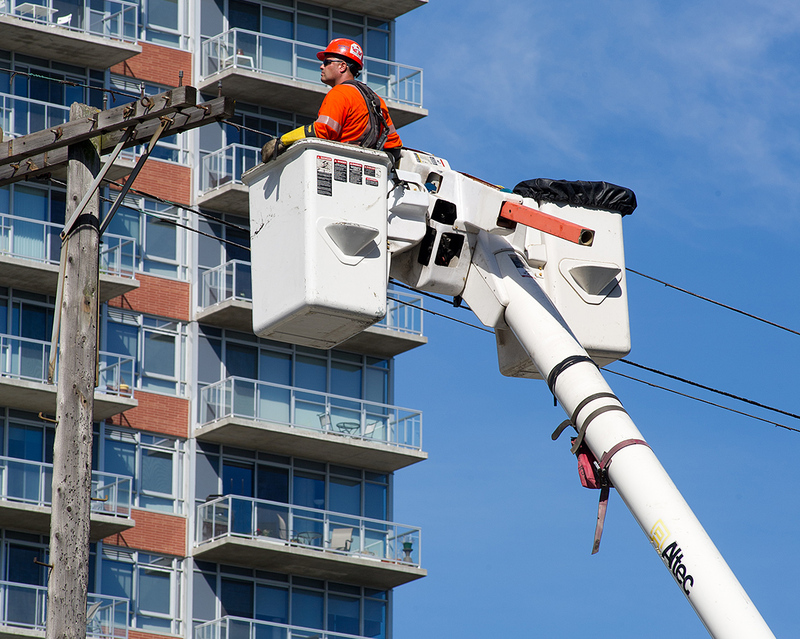 When dealing with objects in contact with power lines, contact Hydro Ottawa for assistance, and always remain at a safe distance from overhead power lines and the objects in contact with them. Planning a new building or renovation near overhead electrical lines? 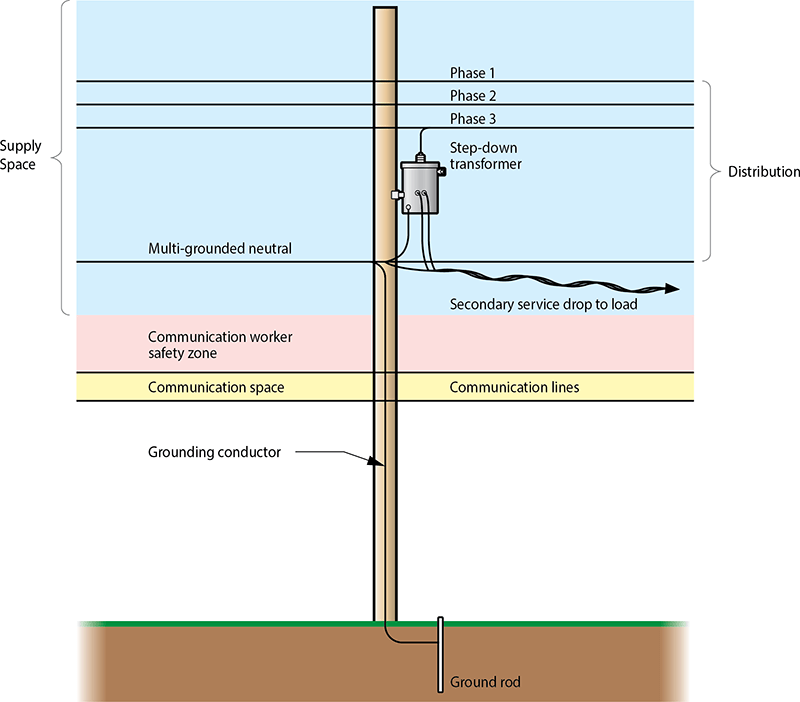 Learn more about clearances for overhead power lines in our Build Smart, Build Safe brochure. Trees that are very near or come into contact with overhead power lines can interfere with safety and reliability of electricity delivery and pose safety hazards to the public. In order to mitigate contact between trees and overhead power lines, Hydro Ottawa runs a year-round tree trimming program. You must use caution when pruning trees that are close to power lines. Do not attempt to prune a tree if it, or any part of it, comes within the Hydro Ottawa clearance area (within 3 metres of a power line). Instead, you should submit a non-electrical service request online. Similarly, ensure that as you prune trees, no part of yourself, your ladder, or your tools come within the Hydro Ottawa clearance area. If you have general questions and you are unsure of whether a tree is safe to prune, visit our tree trimming webpage for more information or contact us for assistance.